20 CEUs for California licensed health care professionals including: RN, LVN, LCSW, MFT, Physical Therapists, Pharmacists, Nursing Home and Residential Care/Assisted Living Administrators (NHA, RCFE, ARF, GH). Check with your state licensing agency for CEU reciprocity. This educational program is designed for community care professionals, owners and stakeholders practicing in every setting across the continuing care continuum. Twenty (20) hours of accredited professional continuing education are available for California Residential Care and Assisted Living Administrators (RCFE, ARF, GH, SFH), Foster Care providers, Registered and Licensed Nurses, Nursing Home Administrators, Physical Therapists, Pharmacists, and Mental Health Therapists (LCSW & MFT). Quest for Excellence� is an accredited provider of continuing education through the California BRN CEP11897, BBS PCE2013, NHAP 1634, CCL 2000124, and PTBC. Please check with your state licensing board for continuing education reciprocity. Oceanview - These staterooms have room for up to four guests. They include two lower beds that convert into a queen-size bed, additional bedding to sleep two additional guests and a picture window with an obstructed view. Approx. Size: 144 sq. 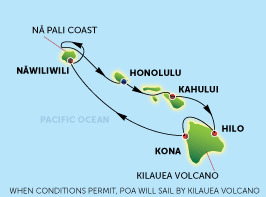 ft..
Price includes cruise fare, port fees and taxes and course registration.